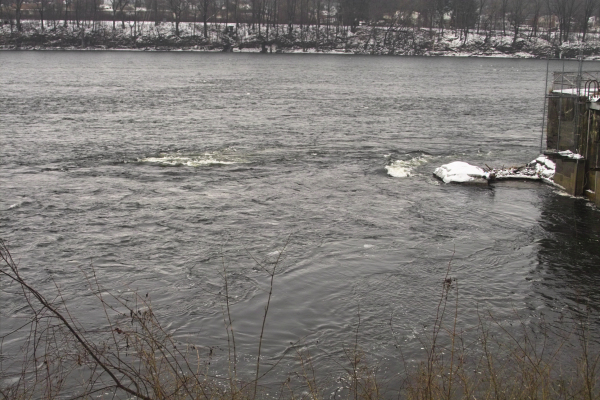 ​​Mile 55.6 - 54.6 Wooded Island at the mouth of the Farmington River. Turn off Main Street where the sign says "Water Polution Control Facility" on to Vibert Road. 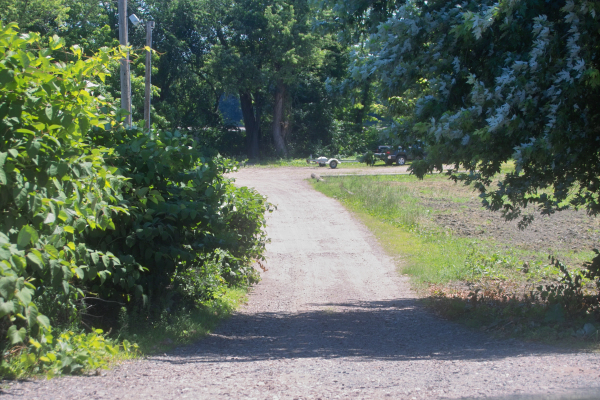 Vibert Road is gravel from the Treatment Plant to the river. It's about half a mile to the boat ramp. Parking for at least 10 vehicle and trailers. After traveling past farm fields you will arrive at this parking. 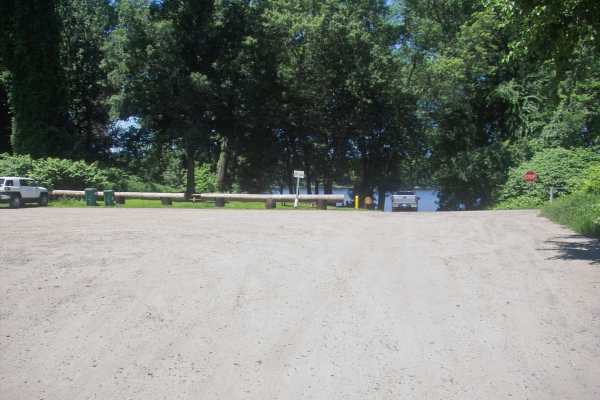 This ramp is muddy and would be very difficult with a trailer. 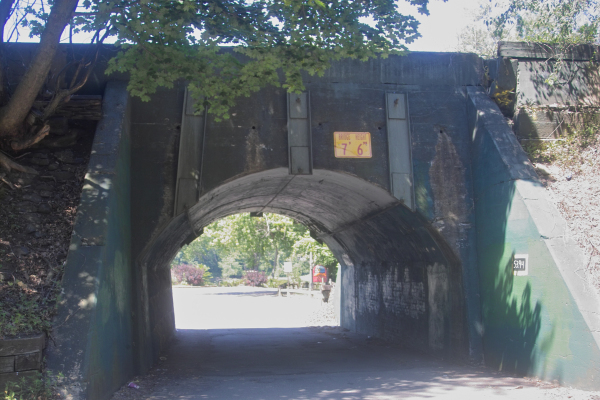 As you approach the Route 190 bridge keep to River Right! 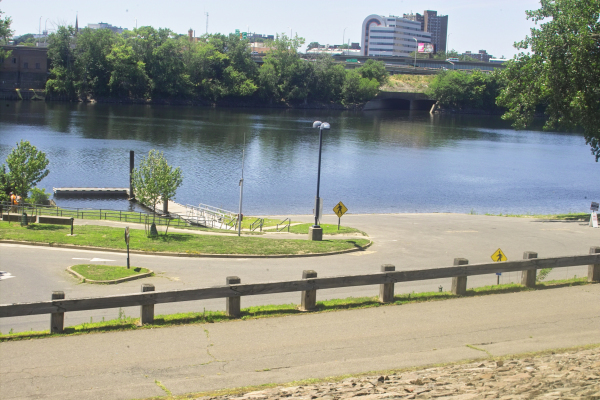 Paddle this Class 2 rapid to get passed the entrance to the Windsor Locks Canal. Continue River Right until you pass the next set of rapids. The river becomes calm again after this. 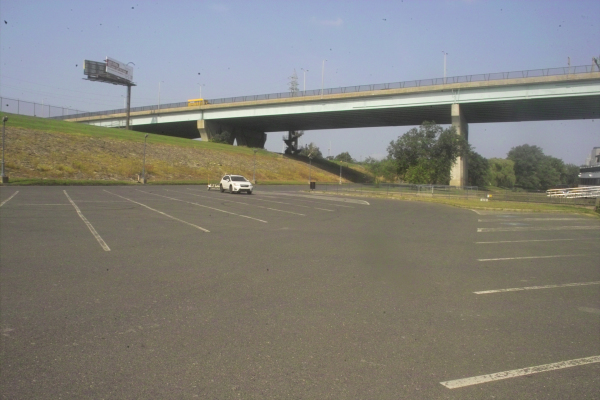 This is a very large parking area that is well paved and maintained. 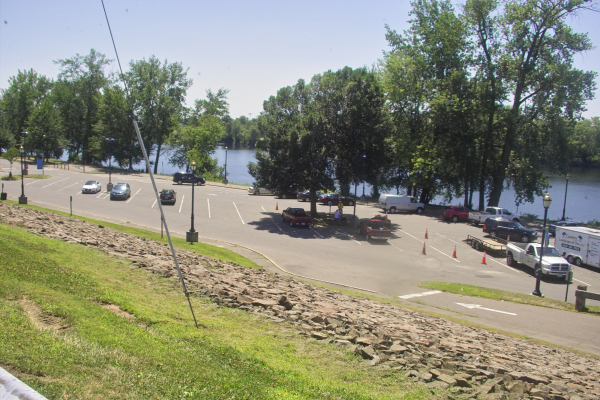 This huge parking area is used for people with boats as well as users of the Windsor River Trail. 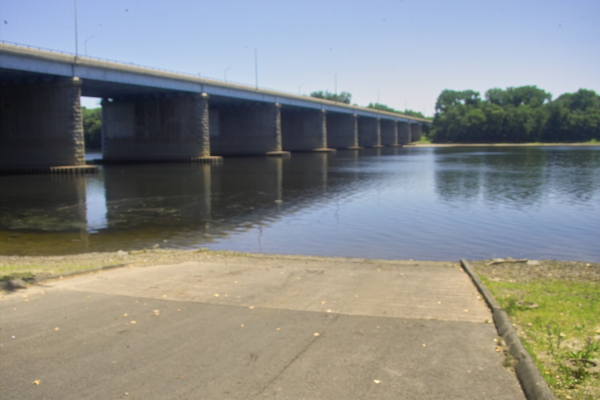 A view of the ramp and the Bissell Bridge. 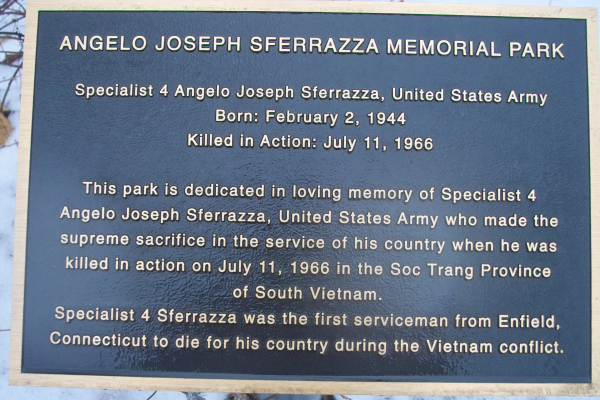 Dedicated to a great man. 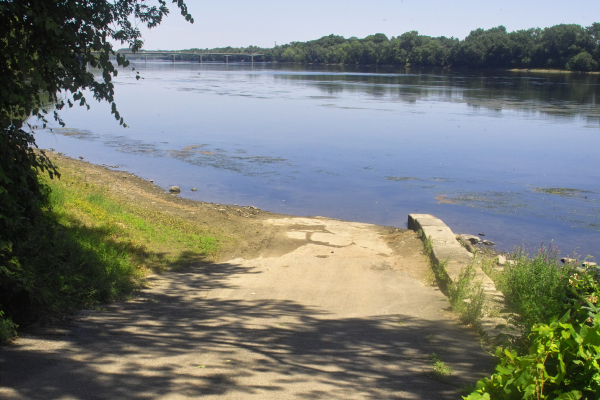 The boat ramp is concrete for any type of boat. Great River Park is open until Sunset. It costs $15 to launch a boat. It costs nothing the boat is human powered. 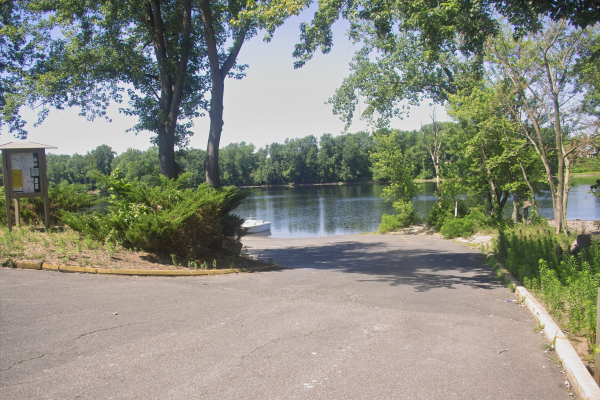 The park is beautiful and the boat ramp is very well maintained by the town of East Hartford. 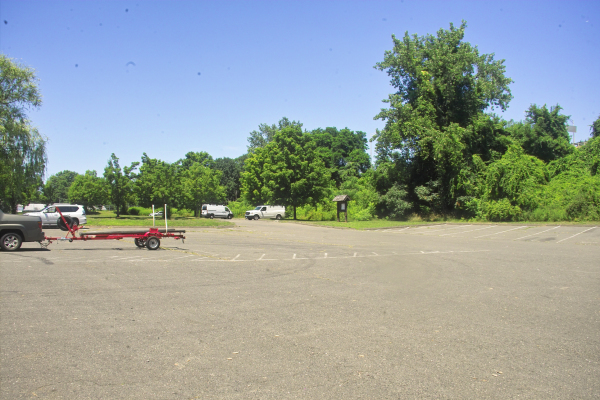 A large parking area is used for people with boats as well as users of the park. 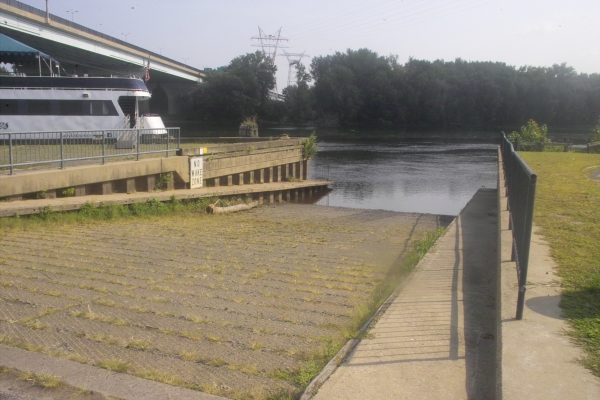 A view of the ramp and the river. ​​Miles 64.0 to 63.0 - King Island can be passed either side. Size: 180 acres and one mile long. 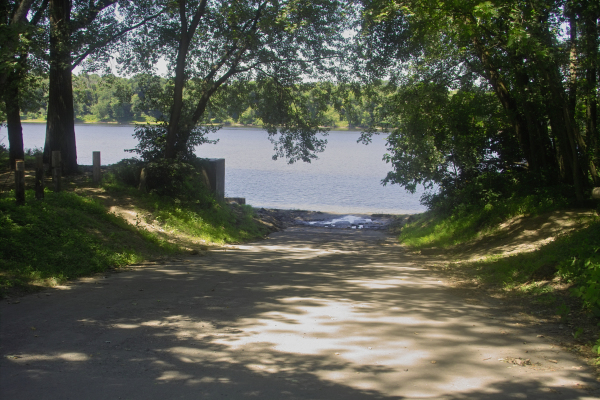 Recreation: Canoeing/Kayaking, Boat Launch, Waterfowl hunting (permit only), Nature photography, Connecticut River views, Informal riparian fishermen's trails. Wildlife: Bald Eagles, Hawks, Ducks, Geese, Fish. 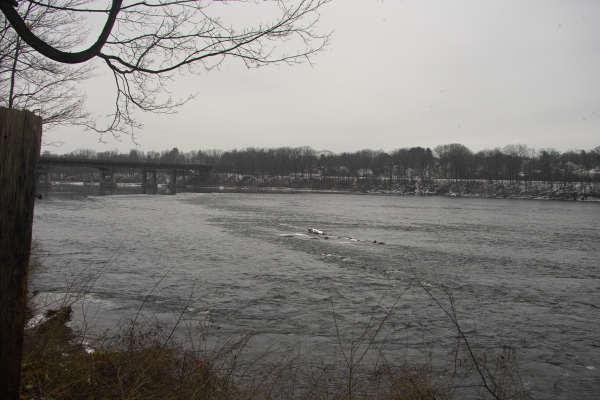 Mile 61.6 - Route 140 Bridge - From Windsor Locks to Warehouse Point. Parking for at least 10 vehicles. Turn down here off Route 159. There is no sign indication access. This concrete ramp is only just adequate.